Gone are the days of going to the grocery store and choosing between this over that one for the freshest piece of fruit or veg, avoiding the crowd and rush hours, and hauling my grocery bags home. 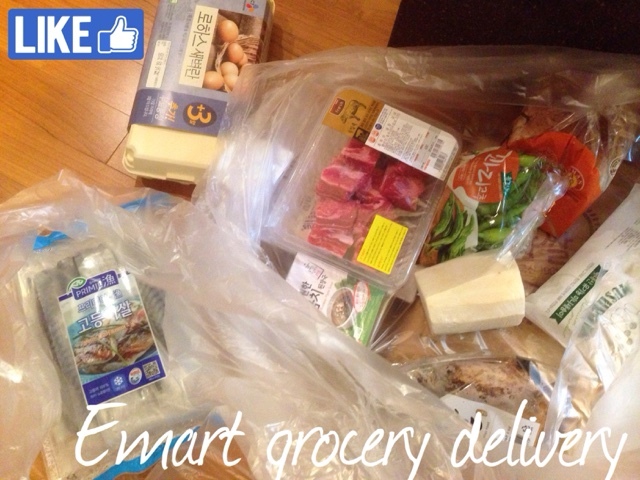 I had another round of grocery delivery from Emart. I haven't been to a grocery store to buy my food traditionally since Emart app changed my life. 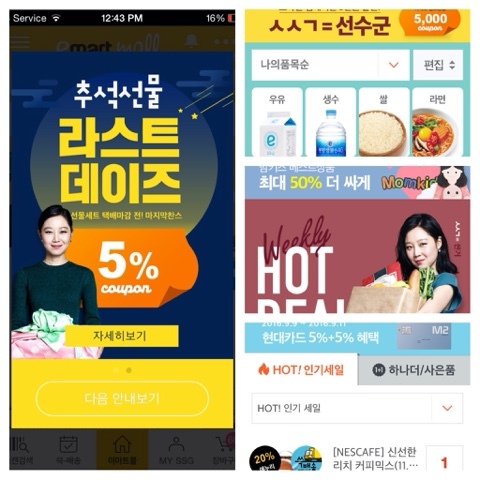 I no longer have to beat the weather, the crowd, and even sales period because Emart consistently releases a 5000won coupon(once a month) for 50,0000won purchase. That's 10 percent off. They used to have a 3000won off for 30,000won purchase - but I guess it was too good of a deal. They also changed it to a minimum of 40,000won order to qualify for free shipping instead of 30,000won minimum. It was good while it lasted. Shipping cost is 3000won if under 40k won purchase. They have a member level ranking(bronze, silver, gold..), which allows you to save more coupon as well as free shipping coupons and a delightful 10% birthday month coupon. It's all pretty fun really! 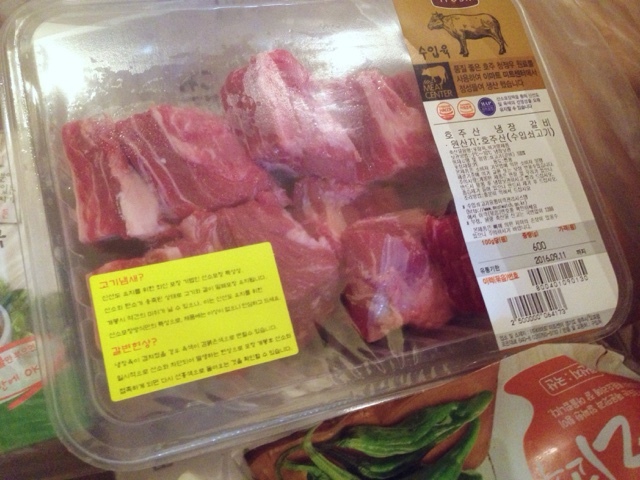 This time they had Australian galbi cuts of beef for around 10,000won. Nicely packed and fresh. 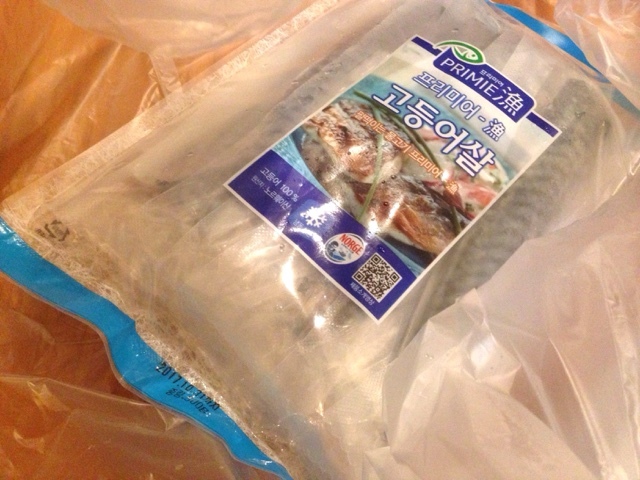 They also had a deal of small cuts of Norwegian mackerel - perfect simmered with soy sauce and sugar. I got some root vegetables this time. Lotus root banchan is very easy to make - equal amount of sugar and soy sauce reduced down for less than 30 minutes. And carrots for anything - fried rice or sauté. 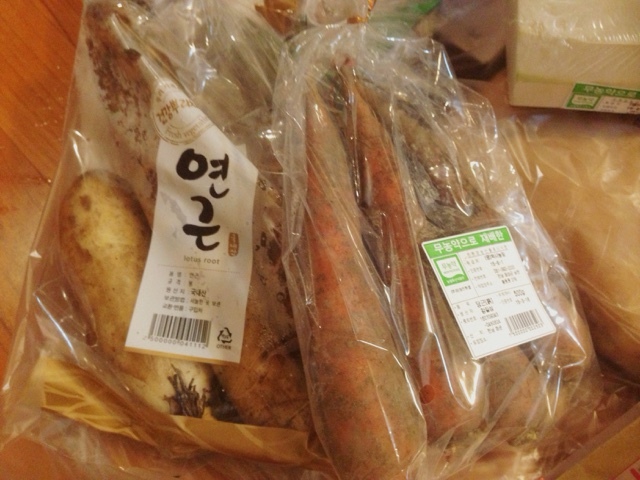 These organic carrots were less than 3000won. The indulgent moonpie - my favorite brand right now. This box is less than 5000won. 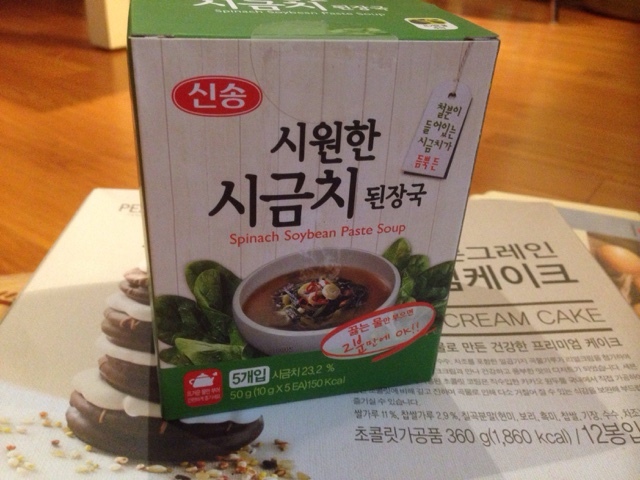 Instant soups are great! These are freeze dried soup packs. You just add hot water and it tastes pretty good for an instant food. Highly recommend this one for the busy ones. 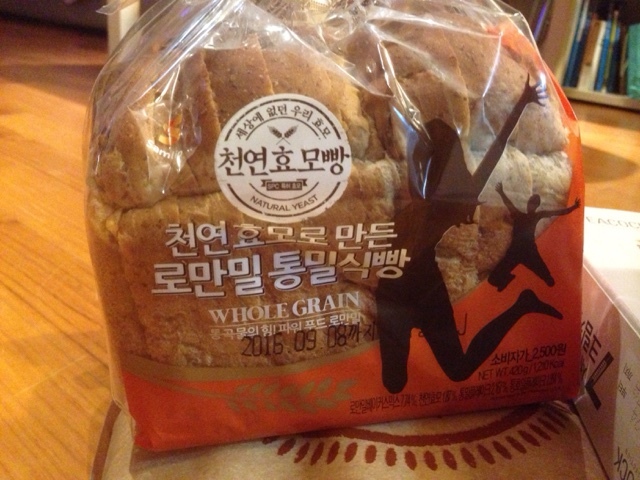 Now this bread is my newest favorite find. 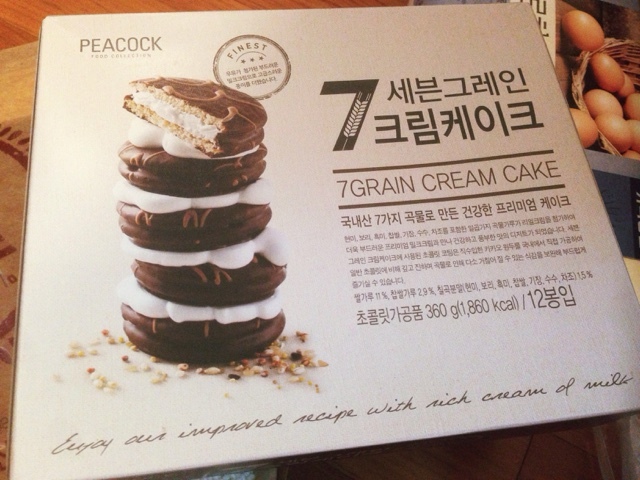 It's less than 2000won and can compete with the 4000won Paris Baguette breads. I love the chunks of sunflower seeds in these and it tastes much better than the other rubbery tasting breads sold in grocery stores. 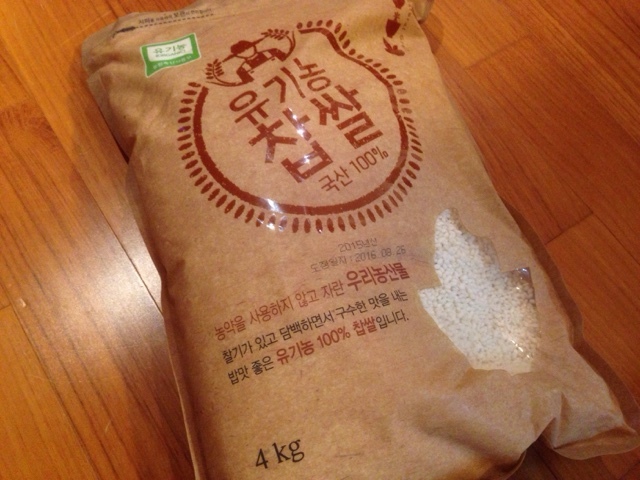 This organic sticky rice (4kg) was only 9900won! 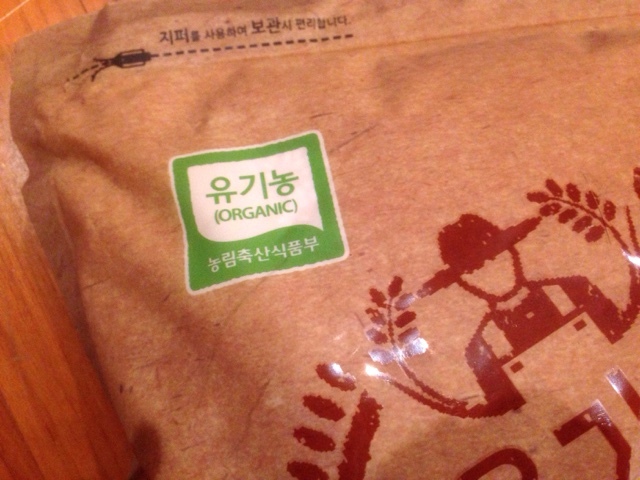 Perfect for that added gloss and suppleness with my multi grain rice. 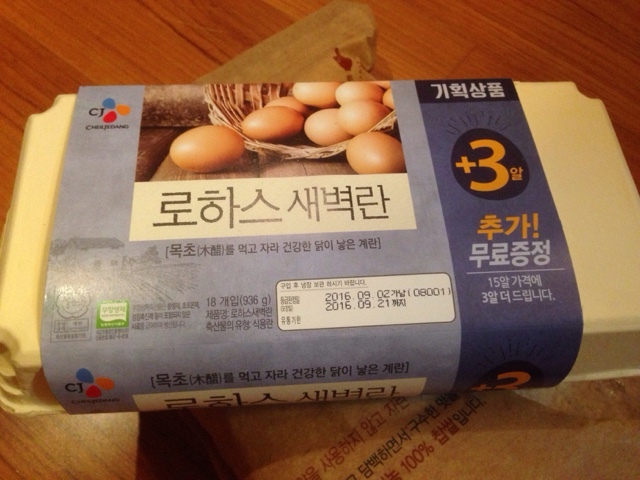 This egg was less than 4000won and came with 3 eggs extra! Not bad! Gotta love those surprises. 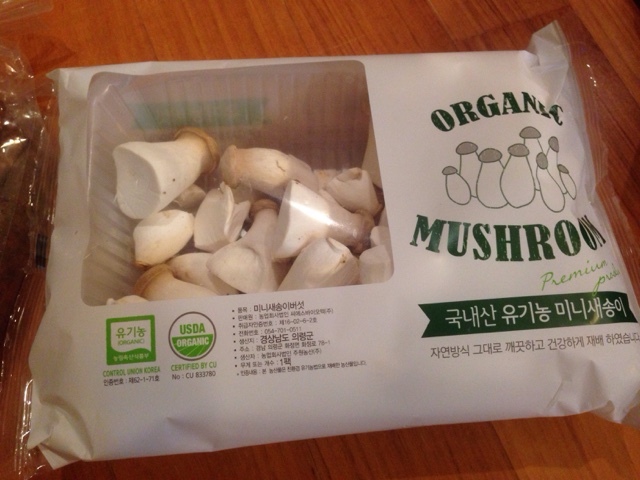 And organic mushroom for 2500won. Overall, I think I got a good deal with my purchase this round. I got most of them on sale and with a coupon. I'm happy with finding the beef and fish, too. I don't have to worry about picking the best one because I've always gotten pretty good picks for vegs, fruit, and meat with Emart delivery. And if they are bad, you can always call for someone to pick it up for a refund! I had a case when they sent the wrong item - I called and they came in the next day to pick it up and gave me an instant refund. Not bad at all. 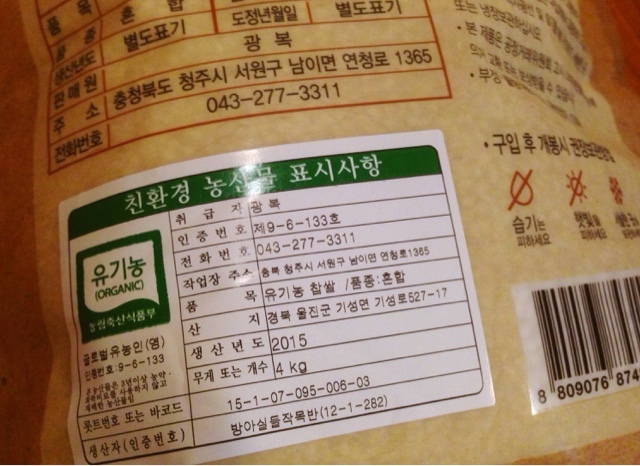 Now that chuseok is around the corner, prices are going to be volatile (fruit, meat...). Well it always is up and down here! I think Emart is onto something really good with their grocery delivery. I've always been impressed with their logistics and sales. I wonder when the rest of the market will catch up to Emart. As much as I am a grannie in tech, I applaud and can't get enough of the convenience of grocery delivery.